WASHINGTON (Sputnik) - The US military has asked the Department of State to notify the Turkish government about its intent to sail a warship in the Black Sea, according to media reports. 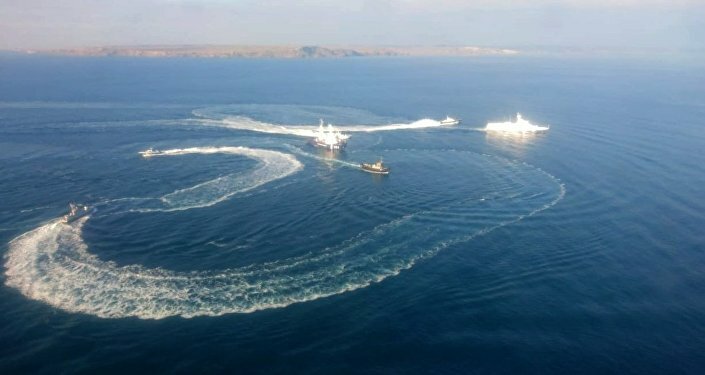 The possible move comes in response to a naval incident in the Kerch Strait on November 25 when three Ukrainian Navy ships entered Russian territorial waters in violation of international law. The Russian authorities seized the ships after failing to respond to lawful demands to stop, and detained the 24 sailors who were on board the vessels, CNN reported citing three government sources. The notification will give the US Navy an option to enter the area, but it is not an indication that such action will be taken, the sources were quoted as saying in the report. The report pointed out that the move could potentially increase tensions between the United States and Russia. The United States has called on Russia to release the sailors and return the seized vessels to Ukraine. US President Donald Trump decided to call off a meeting with Russian President Vladimir Putin during the G-20 summit in Argentina after receiving a report on the Kerch Incident. Putin has said that the incident was a provocation prepared in advance as a pretext to introduce martial law in Ukraine ahead of the country’s presidential election. The martial law would affect the campaign, set to start in late December, amid the country president Petro Poroshenko's low approval rating, Putin added.